Environmental pollution is one of the most serious issues the world confronts today. This problem affects us physically, mentally and even economically. The tainting of the earth is likewise being connected to a percentage of the infections that are around us. 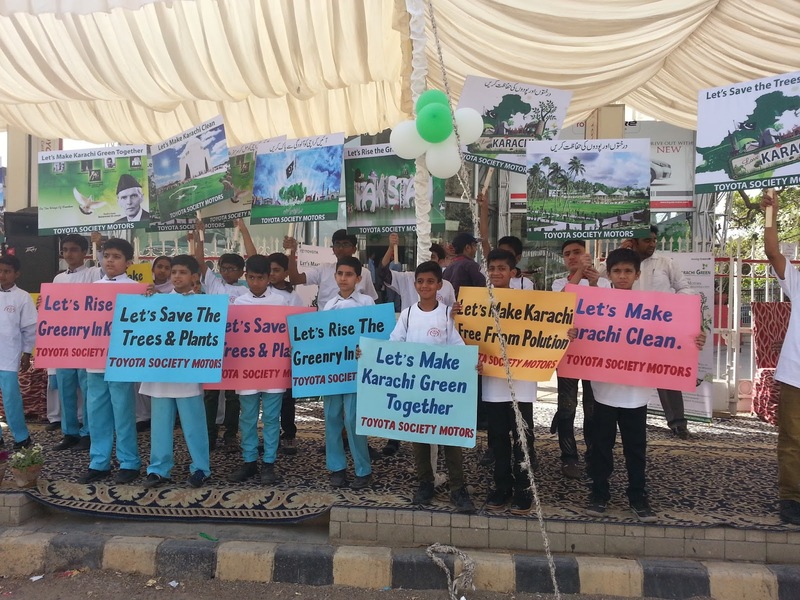 Even though the present issue has adverse effects on our environment, this issue is neglected by the general public. 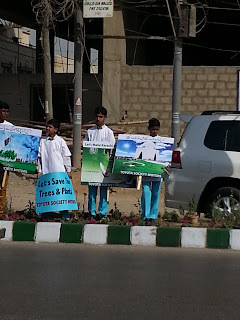 Our planet suffers from cutting down trees which are harmful for us. Because of various human activities the amount of the carbon dioxide in the air, disrupting the natural balance and affecting the energy cycles in the environment. This demonstrates that contamination is turning into an undeniably more awful issue that should be dealt with as quickly as possible for the benefit of the environment and the species surrounded by it. With the aim of spreading awareness among the general public regarding how severe the situation is and what measures should be taken to avoid consequences of environmental pollution Toyotta Society Motors in collaboration with Indus Motors held campaign with the motto of “Lets Make Karachi Green” by the help of student from different schools to take initiatives towards making a better environment. 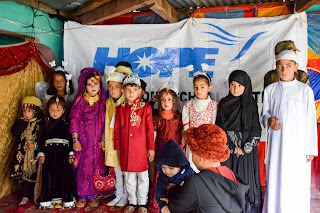 HOPE- an educational NGO in Pakistan that is working towards Community Development through community participation. 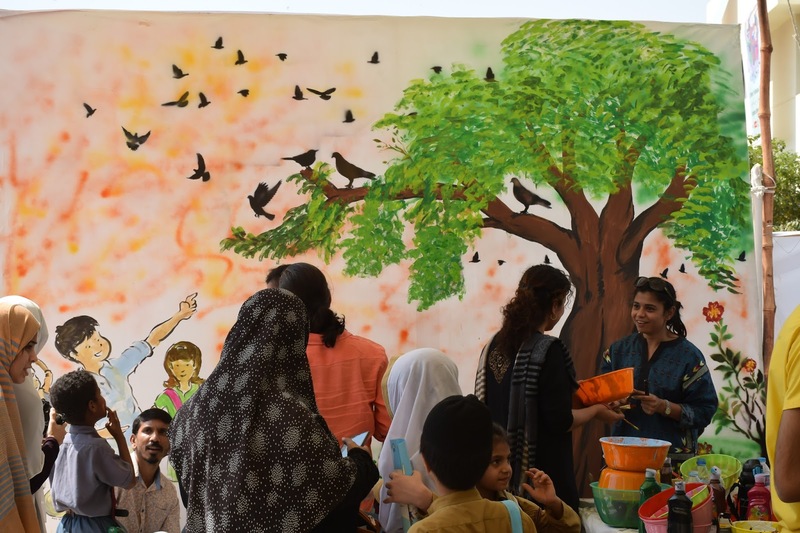 HOPE believes in identifying the problems that affect individuals health and help the community to find solutions of it under the guidance of Dr. Mubina Agboatwalla – child specialist in Karachi. Therefore, HOPE also participated in this good cause, while communicating the strategies to save trees and to clean the environment. 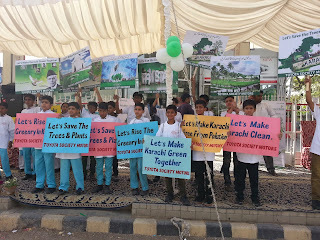 The students also took interviews from the people to give an opportunity for them to share their views about maintaining the environment clean. Taking steps towards environment conservation is an important task and HOPE-an educational NGO in Pakistan proved this by their actions. 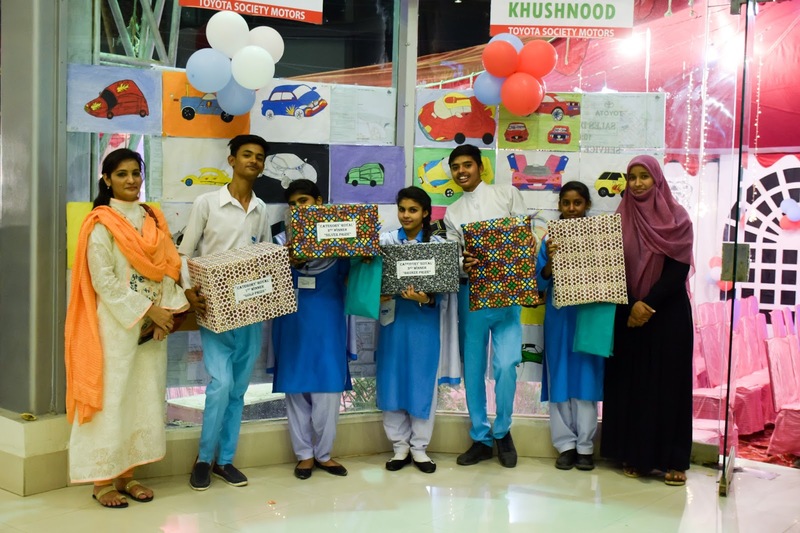 They not only benefited the environment through small steps, but also displayed a character of utmost responsibility that they established a role model for all of us to learn from. 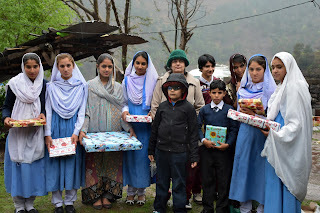 Every year HOPE team visits its flourishing projects which include the home schools of Azad Jammu and Kashmir (AJK). 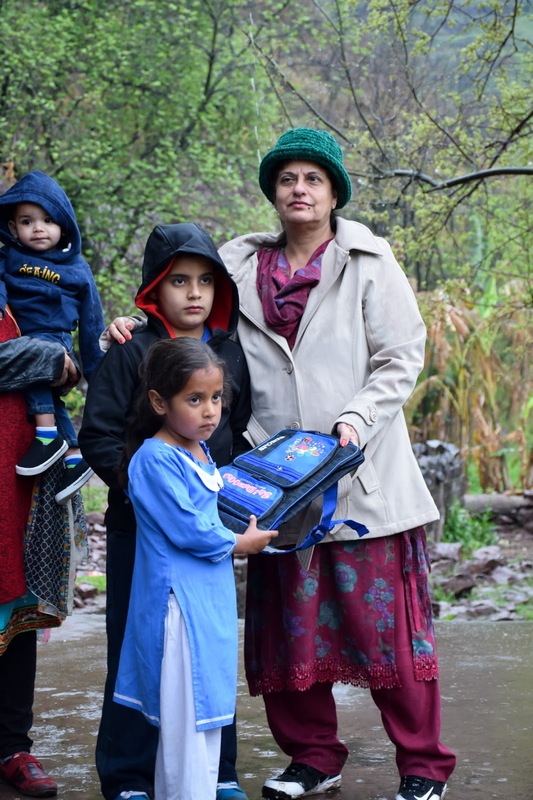 These home schools were installed with unshakable determination to help IDPs, refugees and other resident in the surrounding area to help them avail their right to education. 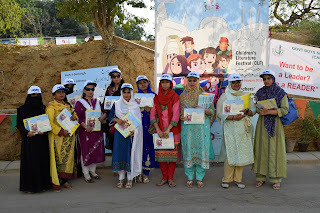 This demanding project is led by the guidance of Dr. Mubina Agboatwalla child specialist in Karachi. 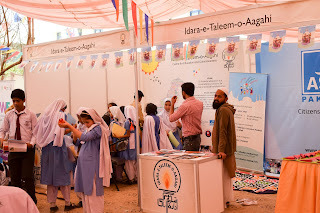 Informal schools play a vital role in educating children who have largely been ignored in Pakistan. 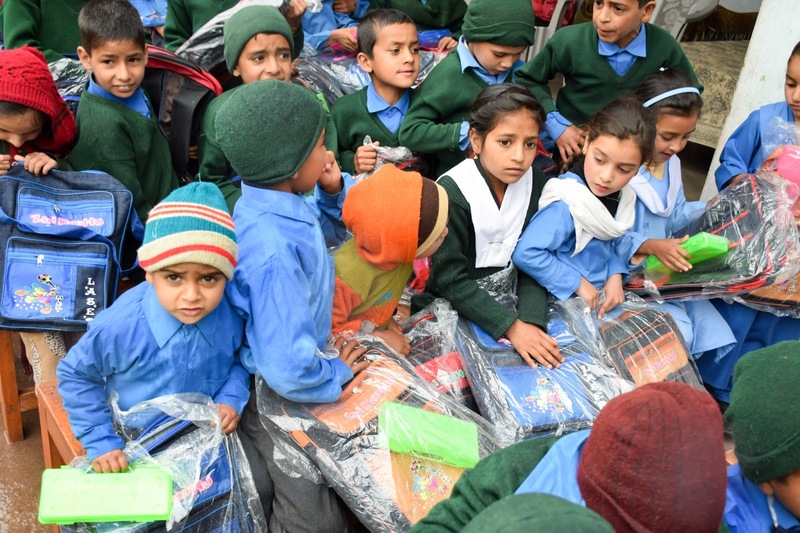 These schools provide young children a chance to receive basic primary and secondary education. 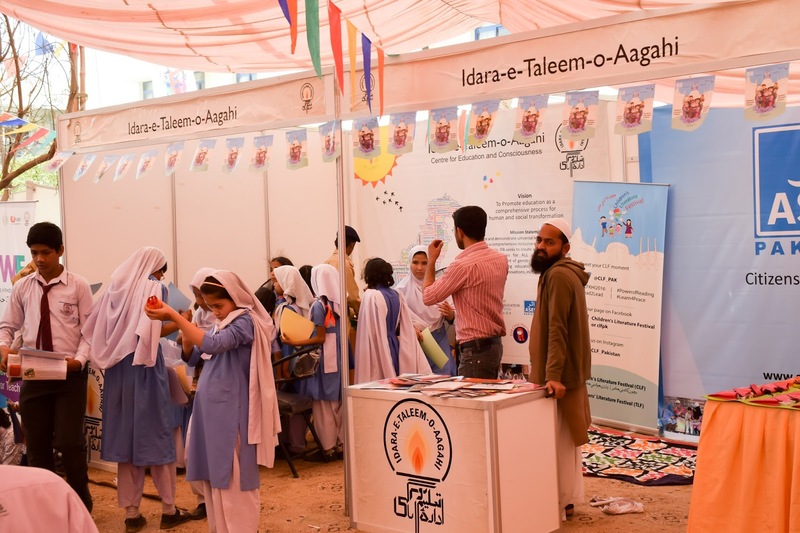 It also creates an employment opportunities for educated girls in the community, who can teach in these schools and earn a living. 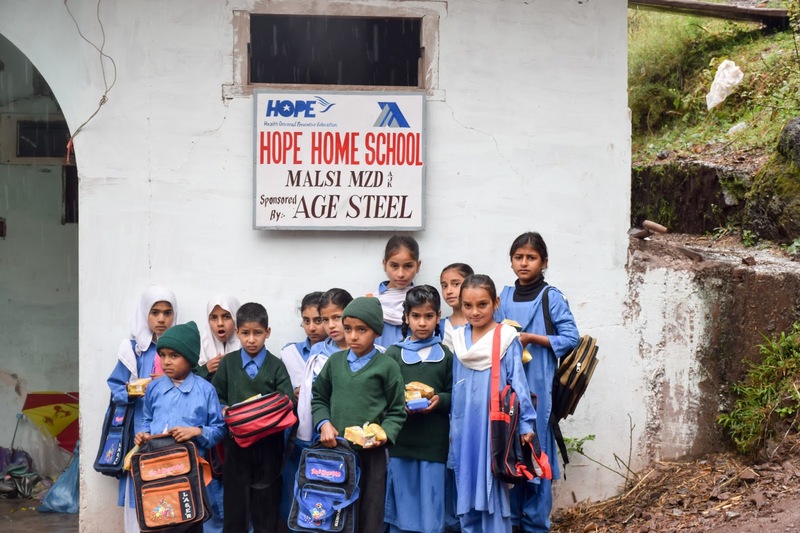 Approximately 900 students are enrolled in HOPE schools, Muzaffarabad and Hatiyan Bala-district of Azad Jammu Kashmir. The literacy rate in this area is also very low, resulting in a population whose basic necessities are met by doing menial jobs. These remote areas are inaccessible and mountains covered with snow and heavy rain during the winter season made it difficult to reach such districts. 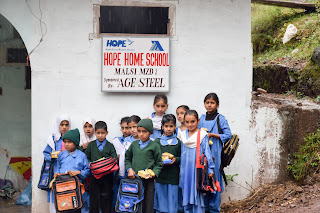 The HOPE team visited its three schools of Muzaffarabad district, Malsi (primary school), Nagra Gari Duppatta (secondary school) and Dhani Balan (primary school). School bags and stationary were also distributed among school children. In addition, result ceremony was also conducted in Nagra Gari Duppatta (secondary School) and trophies were awarded to the position holders. 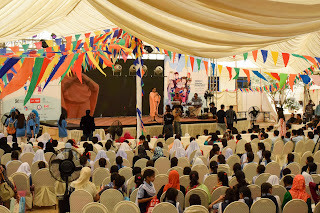 Different programs were held in which students presented skits and welcomed the guests. 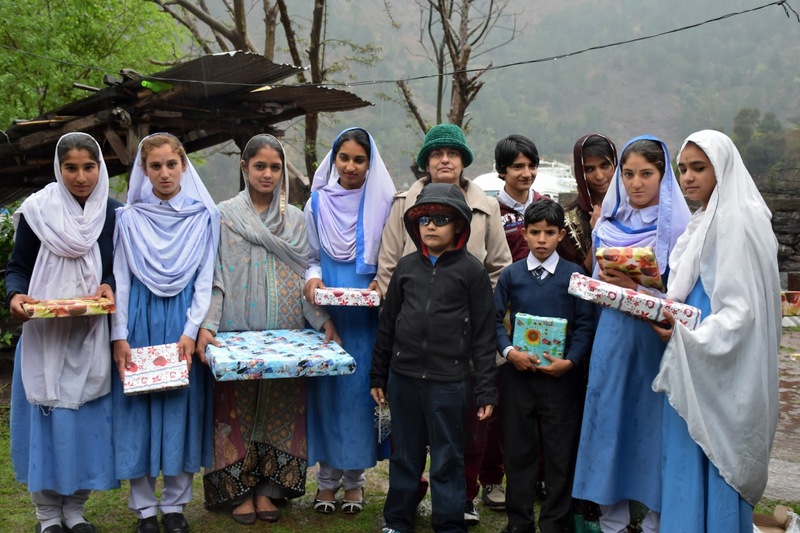 With all of HOPE’s efforts the children of AJK are being provided with a quality education that they had previously been deprived of and these annual visits encouraged them to excel in their potentials and elevate their living standard. Teachers are more than individuals that tell students what’s written in books, they are artists, bent on improving the characters of the new generations, constantly trying to bring forth a sculpted version of talents and skills to benefit the world of tomorrow. On the 28th of February Dawood Public School hosted a Teacher’s training festival where the teachers were given activities and sessions to improve their learning and teaching capabilities. 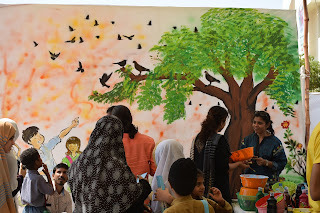 HOPE- an educational NGO in Pakistan, always eager to avail such opportunities to improve its quality of education and to deliver best of knowledge to its students under the leadership of Dr. Mubina Agboatwalla child specialist in Karachi. 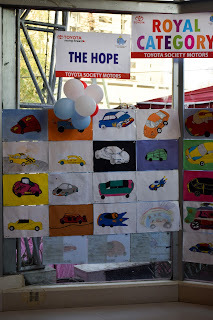 Therefore, HOPE’s schools teachers enthusiastically participated in this festival. 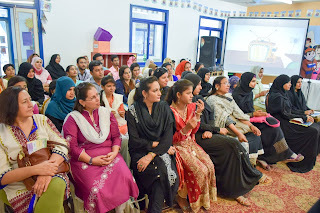 The purpose of these sessions was to give the participating teachers tips and techniques to improve their teaching skills. 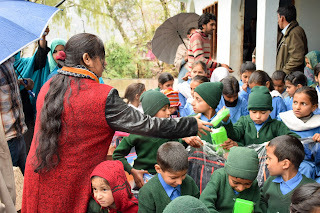 To help the teachers deliver conceptual messages with such an effect that those lessons can easily be implemented by the students in real life. This included activity based learning techniques, tips on retention, speech deliverance techniques and use of modern technology to improve the teaching matter and lessons. These sessions also emphasized on the actual role of teachers in society, how teachers are the reasons students are molded into champions and role models of the future, it emphasized the significance on student-teacher bonds and communication in order to deliver the messages in class. 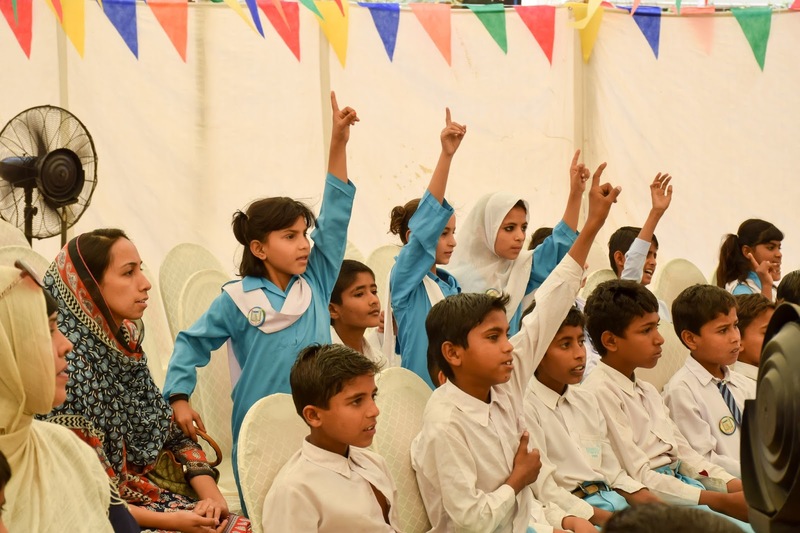 These sessions also stressed on the need for teachers to teach about proper morals and ethics to the students and stressed the need that it should be implemented for society to take a turn for the better. 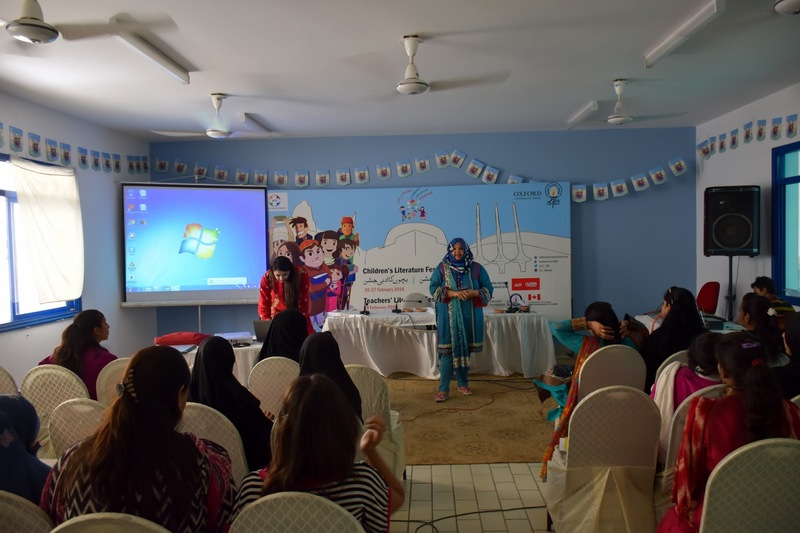 The sessions were concluded after three days with a certificate ceremony where the HOPE Zia and Home School teachers achieved certificates on active participation. The teachers not only took tokens of appreciation back to their school but also gained knowledge that they will implement on their lessons for the days to come. Every child is born with talent and immeasurable potential that can only be brought out when they seize opportunities and face situations. 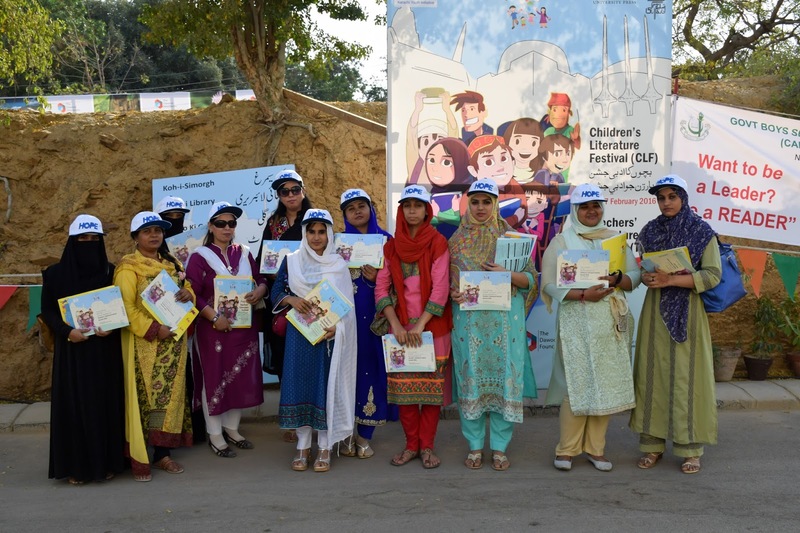 With the aim of letting students to evaluate their own needs and mode of learning Dawood public school in collaboration with Idara-e-Taleem-o-Agahi and Oxford University press, organize Children’s literature festival. Students from different schools, including HOPE’s school participated in this event. This festival continued for three days. 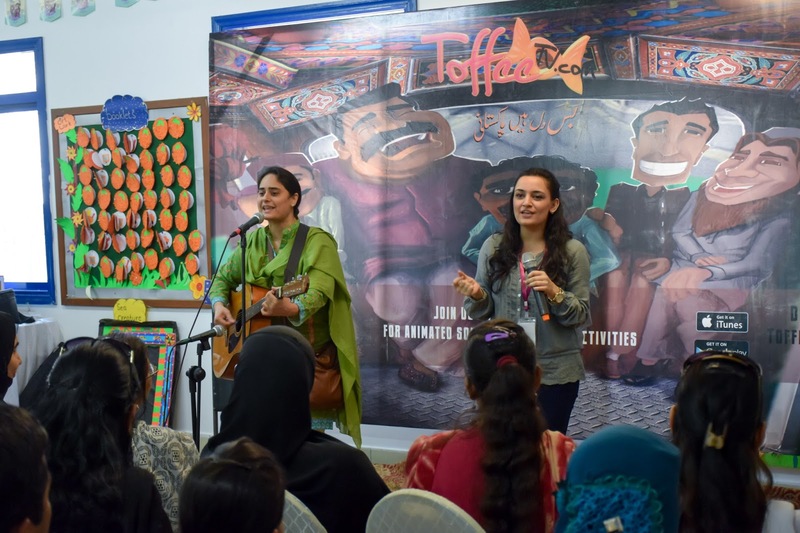 HOPE- an educational NGO in Pakistan under the supervision of Dr. Mubina Agboatwalla- Chairperson of HOPE provides a platform for the students of impoverish backgrounds to have a par stand with the students of other schools. 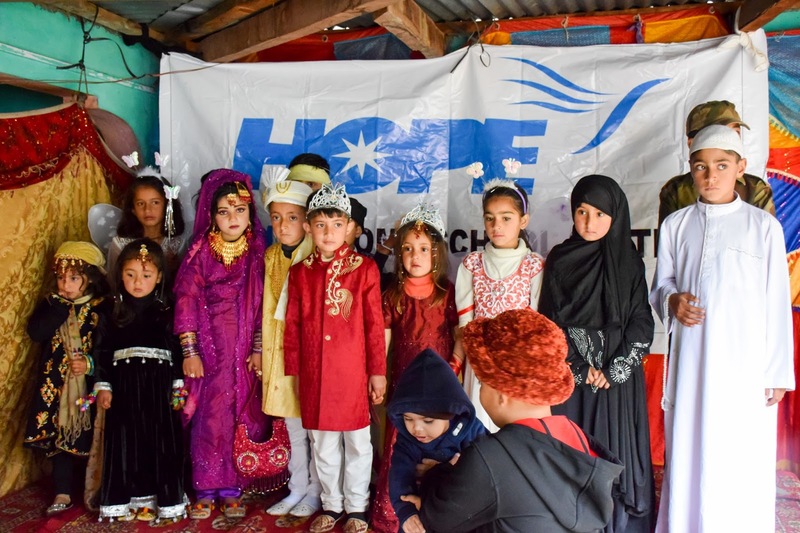 HOPE provided an opportunity for the HOPE Zia School and Home School students to have a glimpse of what the educational world provides including such events hosted by Dawood School. And it is these very moments that will help such students reach immeasurable heights. The first two days focused primarily on the children, engaging them in fun activities for them to experience a brighter day. The third day focused on the teacher’s training. 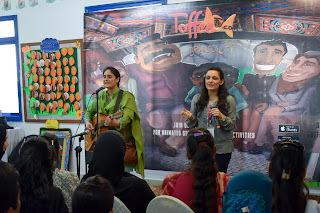 This festival also included story telling, and teaching different learning material by using guitars. 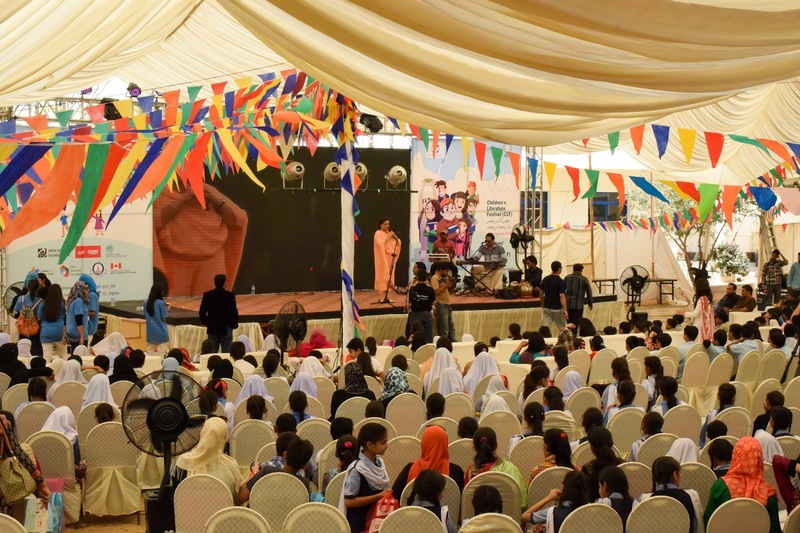 Moreover, the Oxford arranged live library for the students, where children can read according to their interest. 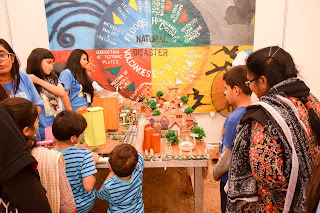 Different daily life concepts were also explained by utilizing multiple arts and craft. 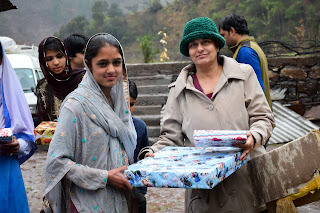 The students returned with hands full of learning strategies which might help them to achieve perk in their studies. They say talent is not correlated to shallow qualities like locality, race or color but rather has a more profound link to a person’s inner essence. The Zia school students are a personification in this regard. 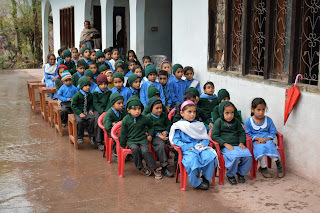 HOPE’s school Zia colony currently educates 800 students that have been divided into two shifts. Most of the students belong to families with minimal wages but contrary to their background their minds are richer than most. They prove to be confident have good morals and are very groomed children that constantly trying to make their futures brighter. 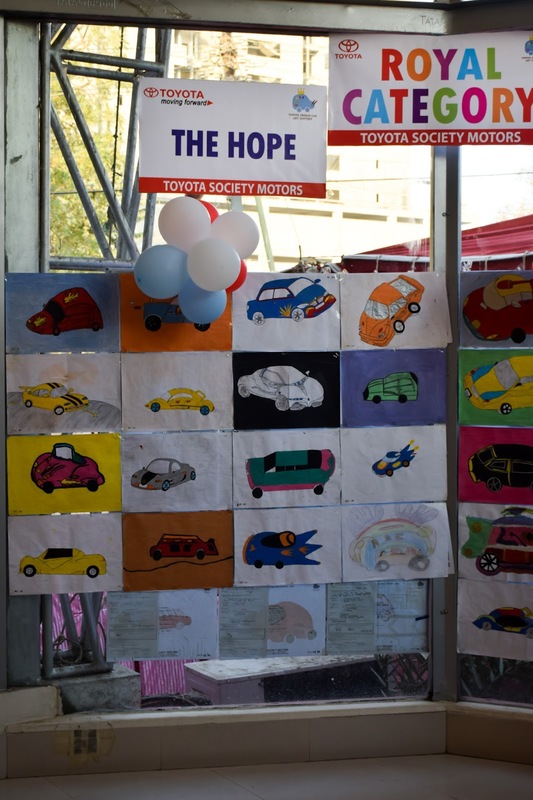 their creativity and imagination by drawing the “car of their dreams”. 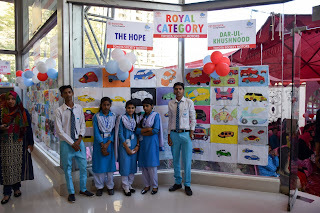 This year Indus Motor Company (IMC) invited HOPE- an educational NGO in Pakistan to ensure the participation of children from different segments of the society. 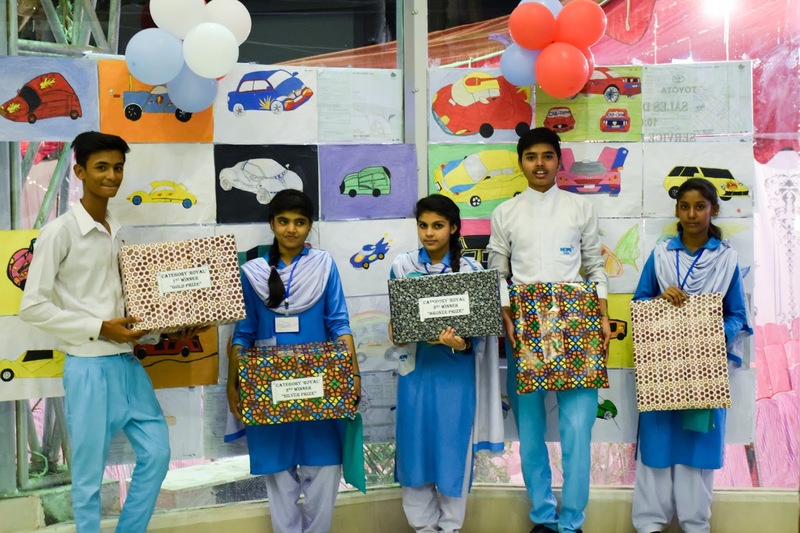 There were three categories for the participants among which students from Zia School participated in two categories. 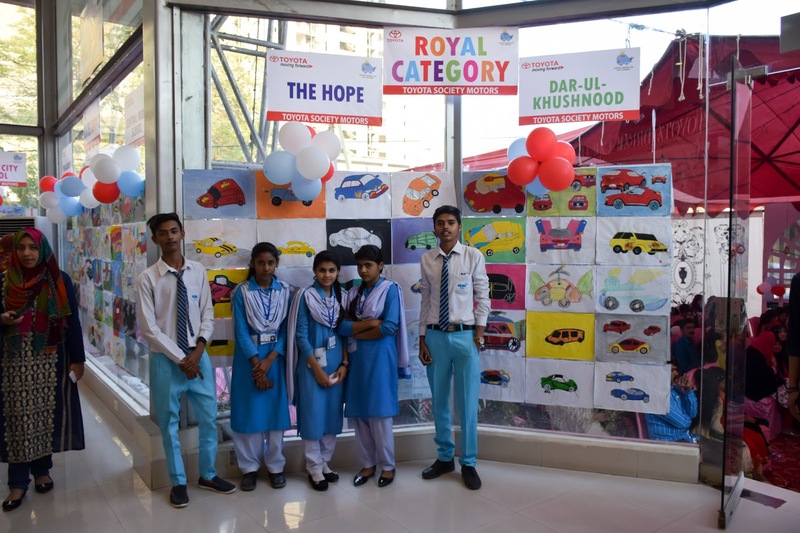 We are pleased to inform that students from Zia School won silver and bronze prize in category 2 and Gold prize in category 3, moreover two students also received best finalist awards in this completion. 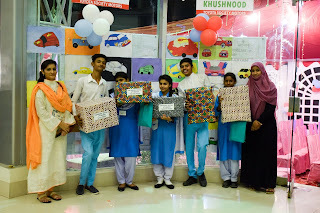 Such achievement helps to boost the confidence of the students. 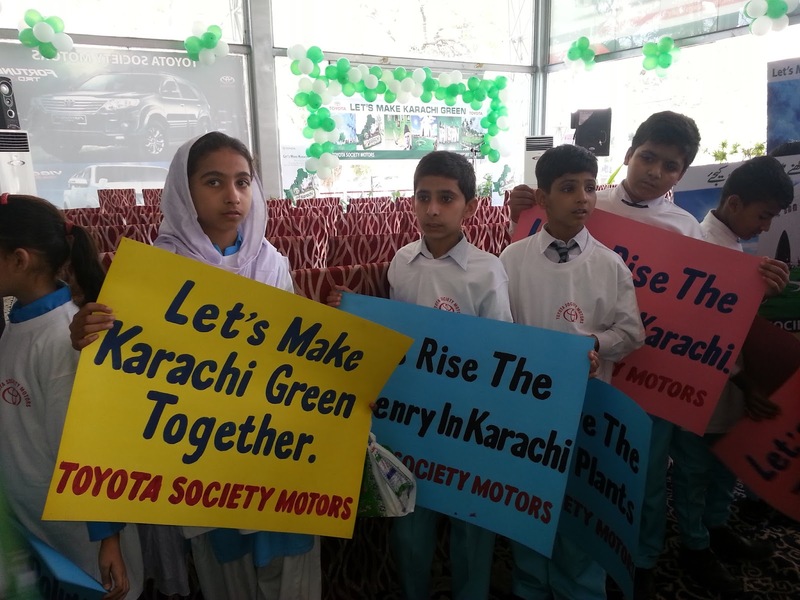 Simultaneously, students were keen and optimistic for the future activities.